As you can imagine Europe is full of interesting cemeteries, each culture has their own way of recognising and commemorating the dead. 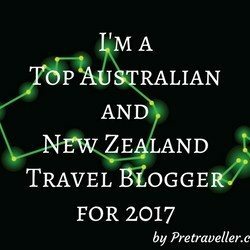 Enjoy this selection from some of our blogger friends. 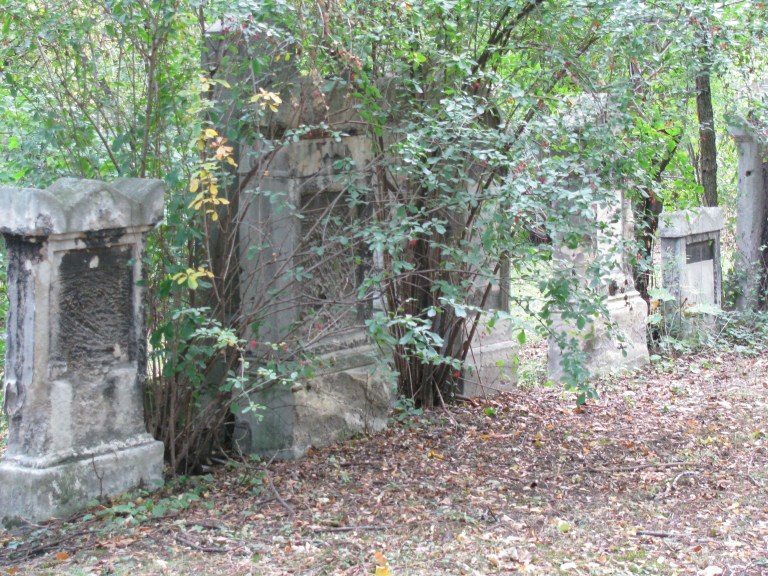 Vienna’s Cemetery of the Nameless ( Friedhof Der Namenlosen) is one of the saddest cemeteries in the world. Most of the corpses buried there are unidentified victims of drowning in the 1940’s, which the river’s current brought ashore. Others who were buried were suicide victims who were not given a burial by the Catholic Church. But because it became one of the shooting locations in the 1995 hit film Before Sunrise, fans of the movie often come by for a visit – putting it as a must-visit place in tourists’ maps. 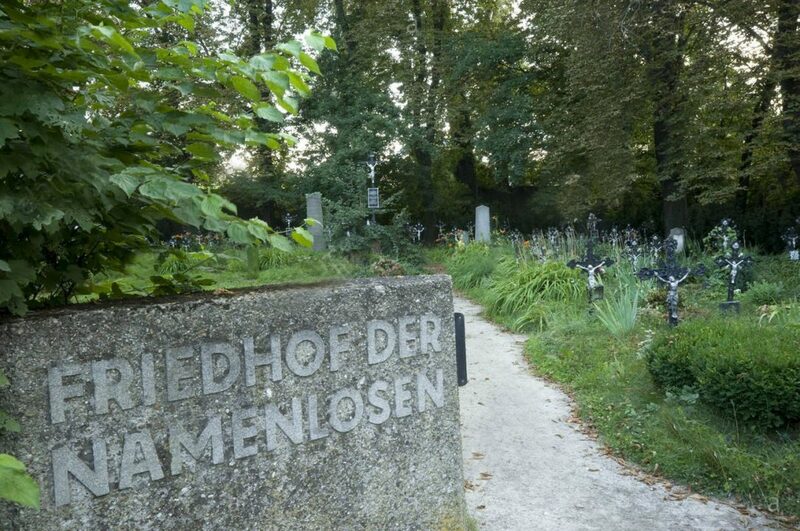 Located in Simmering (11th district) near the Alberner Hafen, Cemetery of the Nameless is not easy to find. There are some signposts but if you are going by public transportation, you have to walk some good minutes to find it. In the graveyard, it is very common to find a simple black steel cross, adorned with the inscription “namenlos” (“unknown” or “nameless”) on a burial mound. Every year after All Saints’ Day, the nameless bodies buried in the cemetery are thought of with a raft of flowers and wreaths floated in the nearby waters. 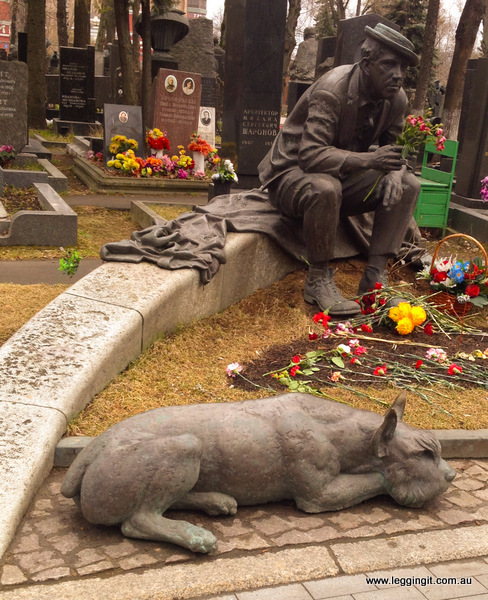 St Marx Cemetery is a one that will make you feel like from another world. Not only it is a place where many well-known people are buried, but it is also so beautiful. I shouldn’t say that. After all, it’s a cemetery. But this one is special. It has a very mystical look, like from a fantasy movie, the statues are works of art. The British War Cemetery in Heverlee, right outside of the city of Leuven in Belgium, is a small cemetery. It was built after World War II to hold the bodies of around 50 British soldiers who’d died of their wounds at the nearby 101 British General Hospital, which was then housed at the still existing Holy Heart Hospital in Leuven. Initially, the deceased were buried on the domain of the hospital. 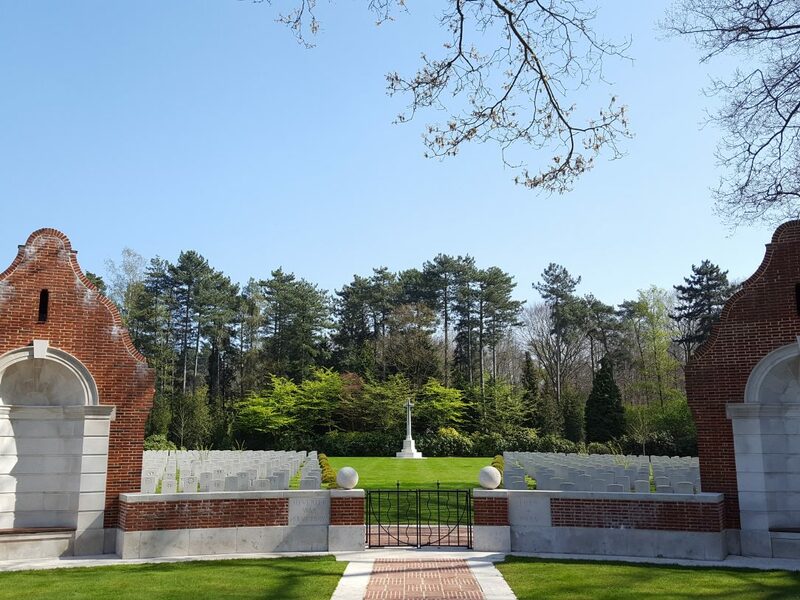 Once the new cemetery in Heverlee was completed, they were moved and joined by other British soldiers who’d lost their lives in and around the city, as well as 29 soldiers who’d died during World War I and whos graves were moved as well. Aside from the British graves, there are also 11 Polish soldiers buried at the cemetery and 1 American. 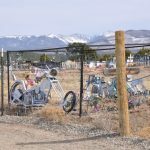 The cemetery is currently located at a location where several hiking and cycling trails come together and can thus easily be incorporated in outdoor day trip in the region. When my boyfriend suggested we’d go to Ypres, in Belgium, I didn’t know what to expect. He convinced me it wasn’t all about World War 1, but the Great War does way heavy on the city. We first visited the “In Flanders Field’s Museum” and I was deeply impressed with the impact the war had on the area around Ypres. At 8.00 pm, we attended the Memorial Service at the Menin Gate. The Menin Gate was erected to commemorate the unknown soldiers who have died during World War One. Each evening, at 8.00 pm, members of the local fire brigade hold a service. They play the “last post” and a minute of silence will fall upon the area. For many people, the first World War is far away and out-horrored by the 2nd World War. But for the people of Ypres, the first World War had such an impact on the region and they salute the fallen soldiers who died to fight for their freedom. Sometimes the numbers that are bandied about when we talk about wars—several hundred thousand killed in the Ypres Salient in World War I—make it difficult to comprehend what they mean. The numbers represent people, yet we can’t really picture several hundred thousand people. Tyne Cot cemetery, in Zonnebeke, Belgium, is the resting place of about 60,000 British servicemen who died in the brutal trench warfare of the Ypres Salient in World War I. Strolling its neat rows of white gravestones was a sobering experience for me. The sheer number of stones, and the knowledge that it is one of more than 150 cemeteries here in the Ypres Salient, was for me a step in comprehending the overwhelming nature of the series of battles that happened here. The Maritime Cemetery (Cimetiere Marin) In Bonifacio, Corsica, is the second most beautiful cemetery in the Mediterranean. It has about 300 graves. The cemetery can be found in the old town of the city. The cemetery reminded me of the famous Recoletta cemetery in Buenos Aires, because of its overly-ornate mausoleums and tombs. The cemetery was built on the site of the old covenant old St-Francis. 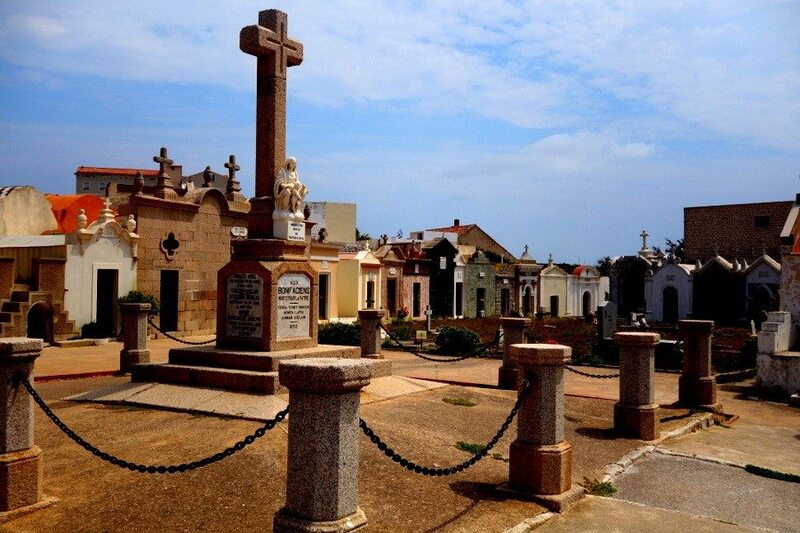 It is very well maintained and all the tombs face the sea. 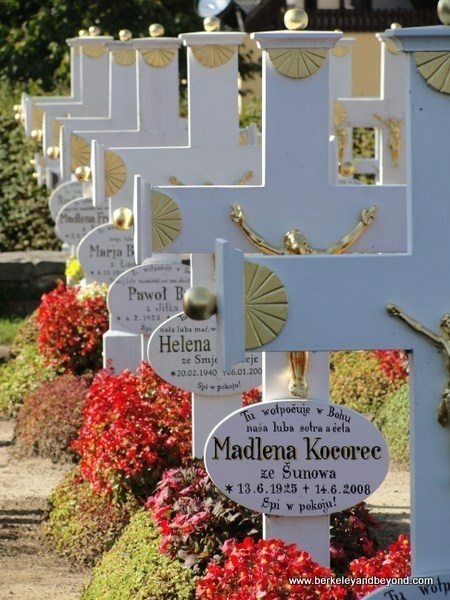 Of all the grand cemeteries in Zagreb, the most elaborate and famous cemeteries in the city is called Miroji cemetery. 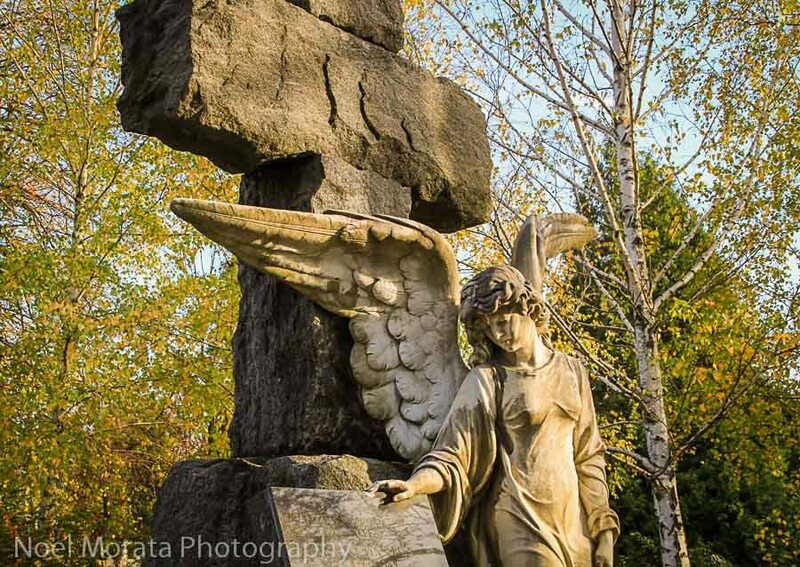 The entire cemetery is filled with stunning sculpture, art, mausoleums containing artwork from famous artists around the country. You also find ornate buildings with elaborate porticoes and marble floors oozing old world charm and beautiful craftsmanship. 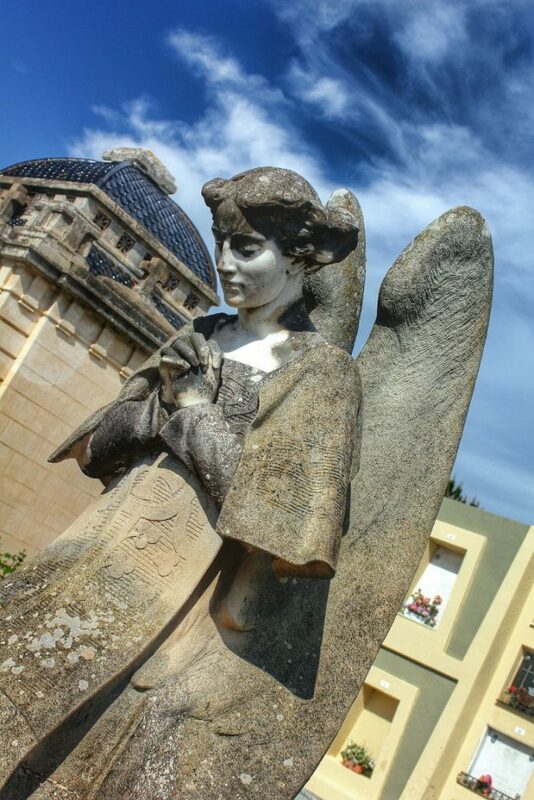 Even if your not into visiting cemeteries the Miroji cemetery is truly an art center worth visiting just for the beautiful architecture, sculpture and art work you will find throughout the park. Check out my Miroji post here for more images and inspiration. 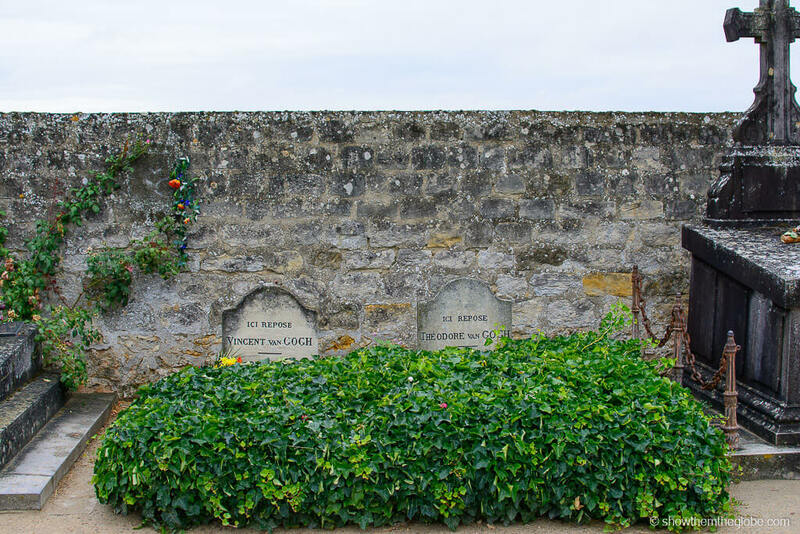 Located just outside the sleepy village of Auvers-sur-Oise and nestled among the surrounding wheat fields is the Auvers-sur-Oise cemetery and the final resting place of Vincent Van Gogh. It was in the village of Auvers-sur-Oise where Van Gogh spent the final months of his life and where he painted some of his most famous works. Auvers-sur-Oise is home to L’Auberge Ravoux, where Van Gogh lived and where he died as a result of a gunshot to the chest, and Eglise d’Auvers, the instantly recognisable local church painted by Van Gogh and now on display at Musee d’Orsay. It is possible to visit both the church and the L’Auberge Ravoux room where Van Gogh lived and died. After Van Gogh’s death, he was buried in the cemetery located just outside the village. 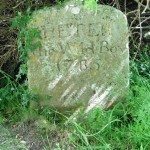 It is here where he and his brother Theo lie beside each other in simple graves surrounded by the views of the countryside he made so famous. 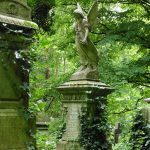 If you are lucky enough to be visiting Montmartre and like to visit cemeteries, then there is a little secret graveyard, right in the heart of old Montmartre. Montmartre is the former artists quarter and is located within the 18th Arrondissement of Paris. Montmartre is a lovely area to stroll around, with something interesting to find around every corner. It was during one of my walks around the neighbourhood that I happened to stumble upon the Saint-Vincent Cemetery. In fact most people discover this place by pure chance, as it’s not on the tourist radar like other well-known cemeteries in Paris. Saint-Vincent Cemetery is rather like a forgotten cemetery, hidden in amongst the residential streets of Montmartre. The cemetery is quite small and you could easily walk around the whole place within 30 minutes. It was established in the early 1800s and has about 900 graves. 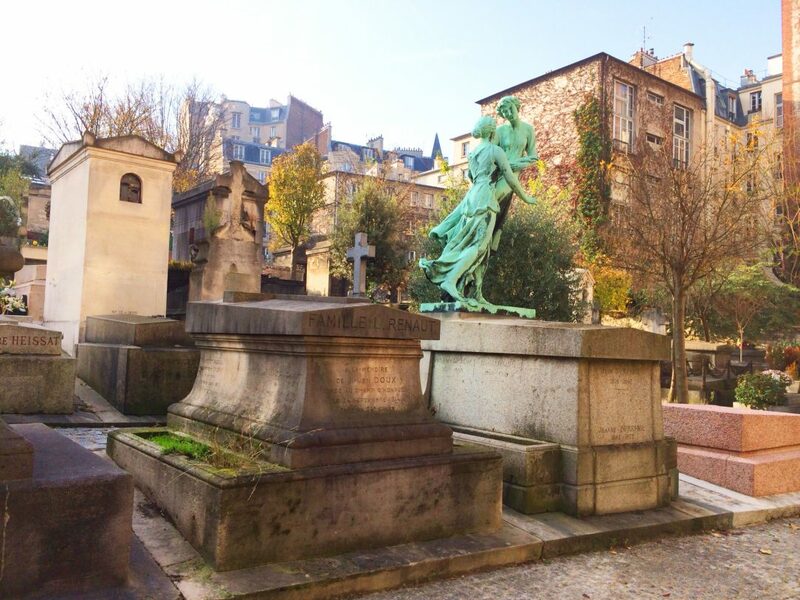 As Montmartre was an area where artists of all sorts, came to congregate, the cemetery has a lot of painters, writers and philosophers buried there. 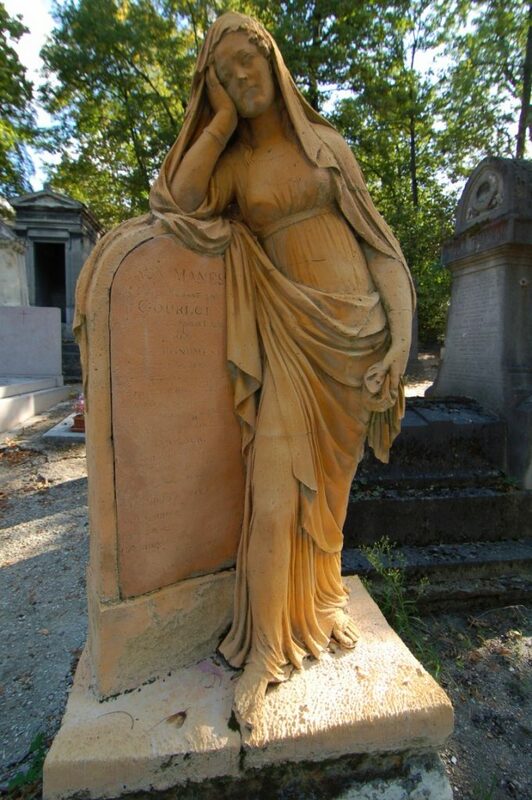 The most famous graves are those of Ayme (writer), Utrillo (painter), and Ninette, a nightclub artist, a survivor of the Titanic and the mistress to Benjamin Guggenheim. Many of the graves are quite interesting with tributes immortalising those buried there. The cemetery itself has a peaceful charm to it, something that’s quite befitting of a final resting place. When I visited it was very quiet, there was not another soul about, well apart from the neighbourhood cats basking in the sunshine on a grave or two. 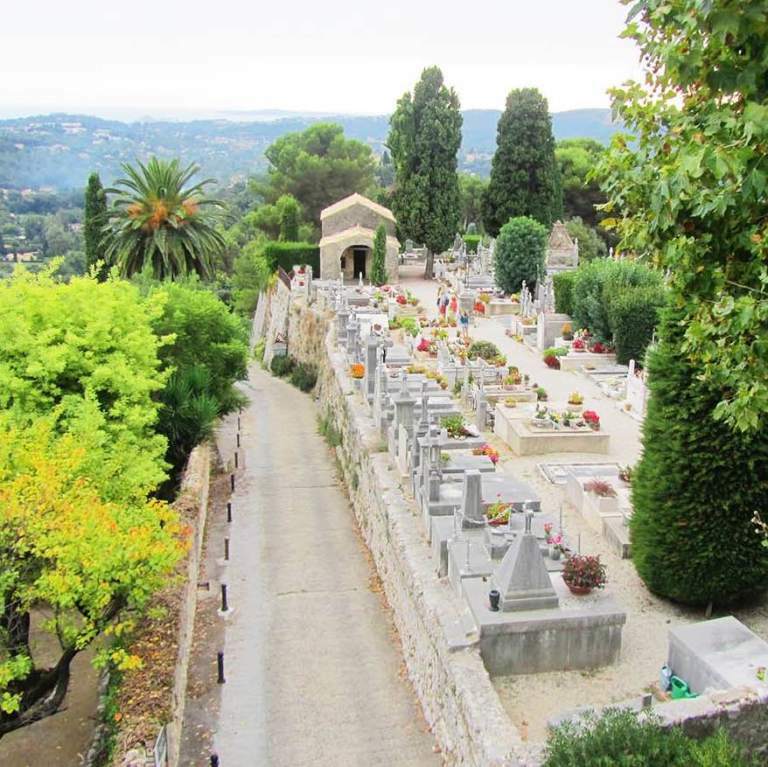 If you visit during the spring and summertime, the cemetery is dotted throughout with olive trees and roses in full bloom, making it quite a pretty place to come and ponder life. 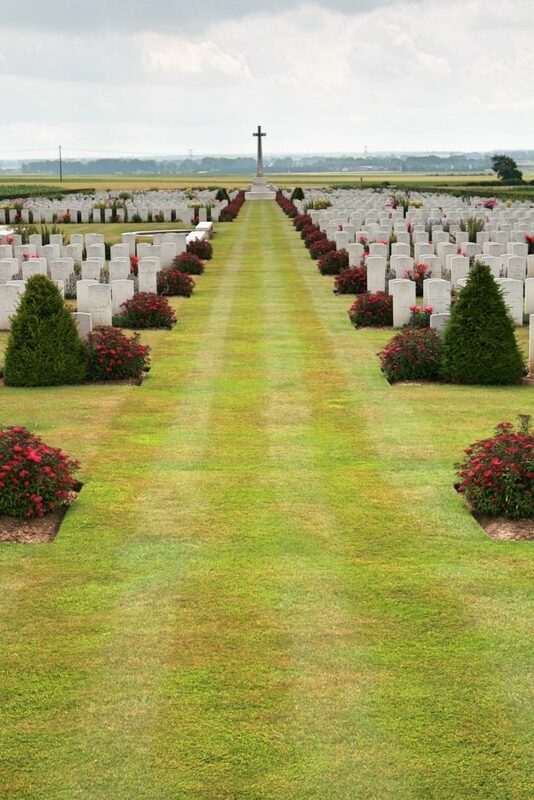 The Commonwealth war cemeteries of Northern France are incredibly sombre yet beautiful at the same time. They feature row upon row of pristine gravestones maintained by the Commonwealth War Graves Commission, all containing the names and nationalities of young men and women who died far too young. It’s a stark reminder of the futility of war. We visited the Le Treport military cemetery near Dieppe, which has over 445 graves from casualties of the First World War. Le Treport was a hospital centre, so the graves are not only from soldiers, but serving hospital nurses who succumbed to diseases such as influenza. There are many other similar cemeteries in the surrounding area. 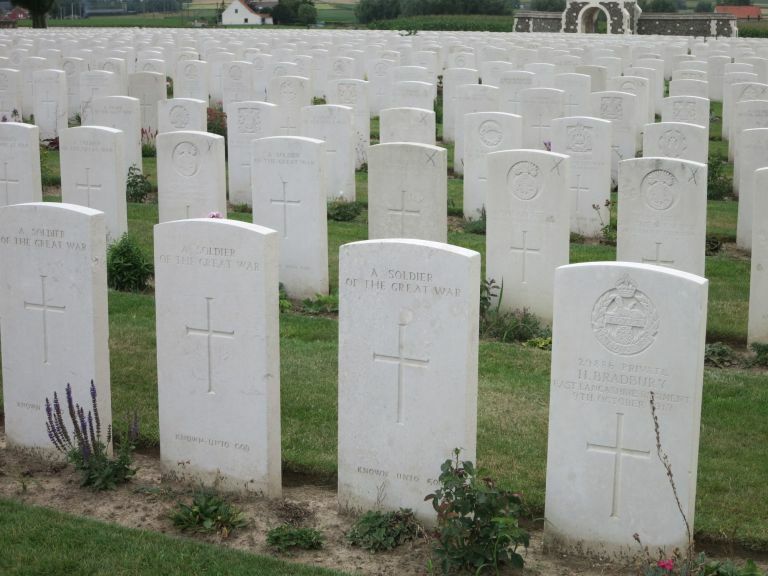 If you’re looking to visit the Somme cemeteries – perhaps to trace the grave of relatives lost in the war – the Commonwealth War Graves Commission website has a wealth of information. It includes a searchable database to search by name and/or cemetery. 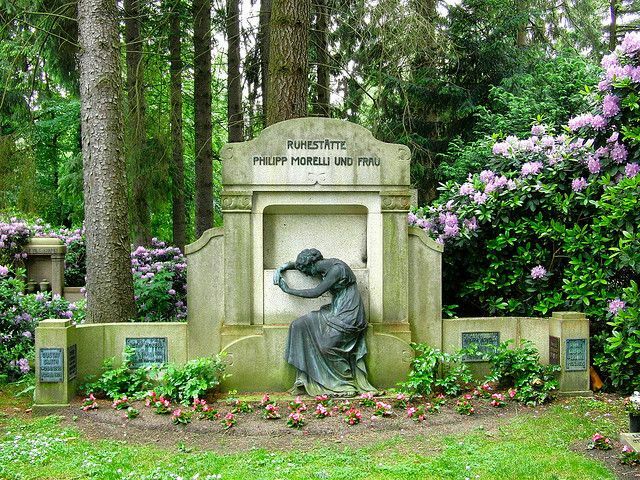 If you’re ever in Hamburg, Germany be sure to visit the HUGE Ohlsdorf “cemetery park.” Founded in 1877, Ohlsdorf is one of the largest cemeteries in the world! While several famous Germans are buried there (e.g., author and playwright Wolfgang Borchert), there’s more to Ohlsdorf than the burial sites. 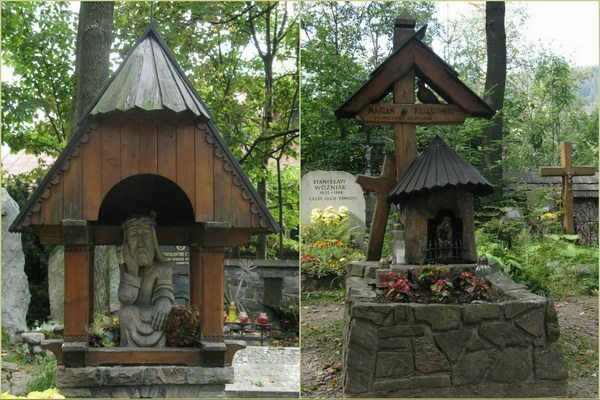 Check out the 12 beautiful chapels, as well as the mausoleums, ponds, memorial sites remembering the victims of the Nazi era and the resistance fighters, and the funerary museum. You can explore Ohlsdorf your own (on foot or bus) or take a guided tour. To reach Ohlsdorf, take the S1, S11 or U1 to the Ohlsdorf stop and follow the signs to the Main Entrance. Within the cemetery there are two circle bus lines (170 and 270). Allow about 20-30 minutes to get to Ohlsdorf from the city center and at least 2-3 hours to explore. I have a secret obsession with cemeteries whenever I travel which I thought was very weird so I was so glad to learn that it’s not only me who has it. I’ve seen so many beautiful cemeteries but this one is quite hard to forget. It’s taken from the cemetery at the Old Chora (Old Town) of Alonissos in Greece. Fresh flowers and photos of the deceased are laid on top of each tomb – it’s a pretty standard practice if you ask me but what sets it apart from all the cemeteries that I’ve seen is its location. 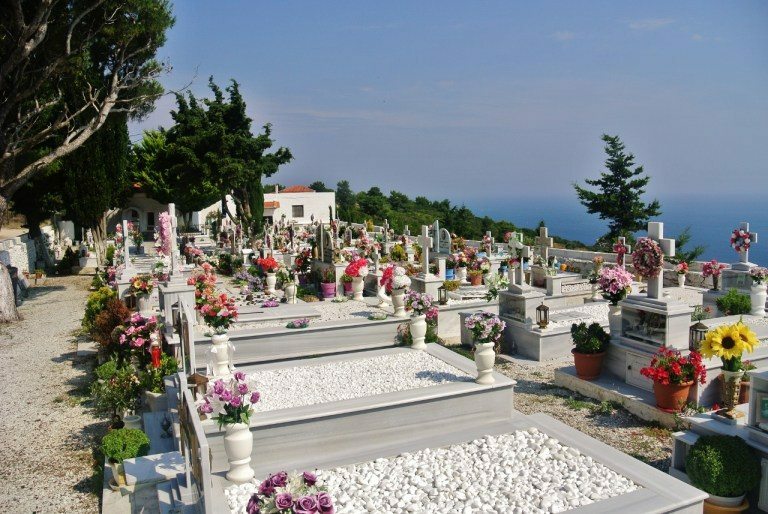 Overlooking the magnificent view of the endless Aegean sea makes this final resting place the most beautiful I’ve seen. 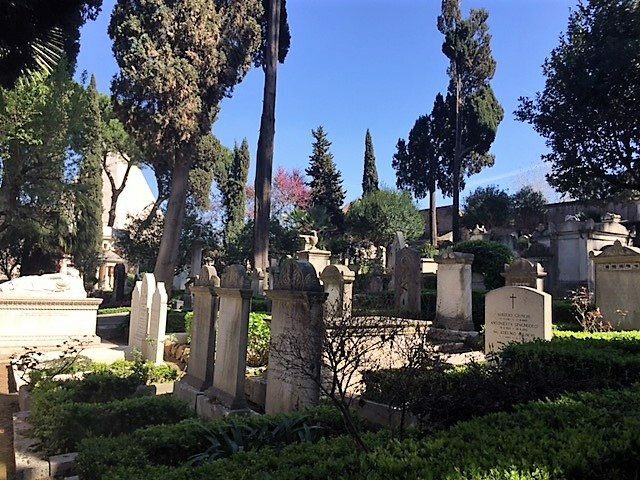 The non-catholic cemetery of Rome dates back to the 1700s and is one of the oldest burial grounds in Europe still in use. 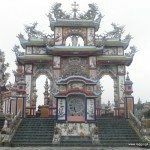 The cemetery is sheltered from the noise of the busy city streets by a curtain of trees and is a peaceful, secluded spot made of elaborate tombstones, beautiful sculptures, and lush vegetation. It is the resting place of many illustrious artists and poets, who met their fate while visiting Rome. The most famous are poets Keats and Shelley, but taking a stroll through its meandering pathways, you will also encounter the graves of Antonio Gramsci (Italian philosopher and politician), Hendrik Andersen (Sculptor), Thomas Jefferson Page (American Explorer) and Sarah Parker Remond (African-American anti-slavery activist) among many others. Romans are very fond of this cemetery and usually refer to it as ‘the Protestant cemetery’ or ‘The cemetery of the Englishmen’, in honour of its first inhabitant, buried here in 1738 and originally from Oxford, UK. 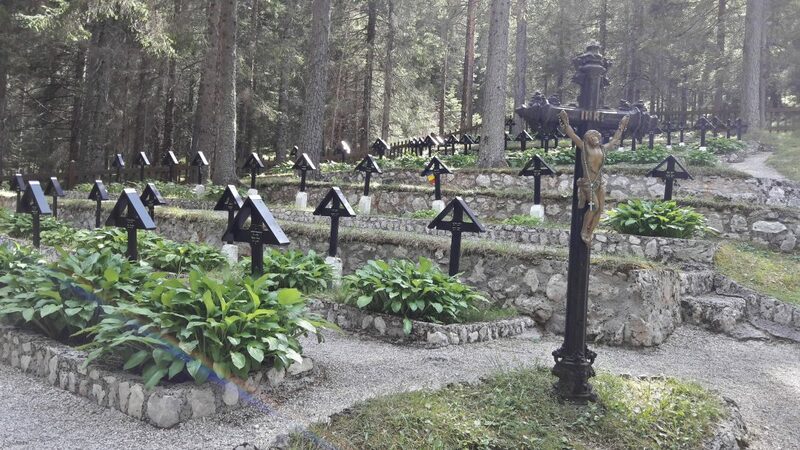 Nestled at the bottom of the Val di Landro below the towering Dolomites, the Nasswand cemetery is neatly kept and has an intriguing history dating back to World War I. The cemetery located just alongside the road through the valley and is well worth the stop if you are passing through this area of the Dolomites. During World War I the mountains of this area were the scene of an incredible high-altitude mountain war. 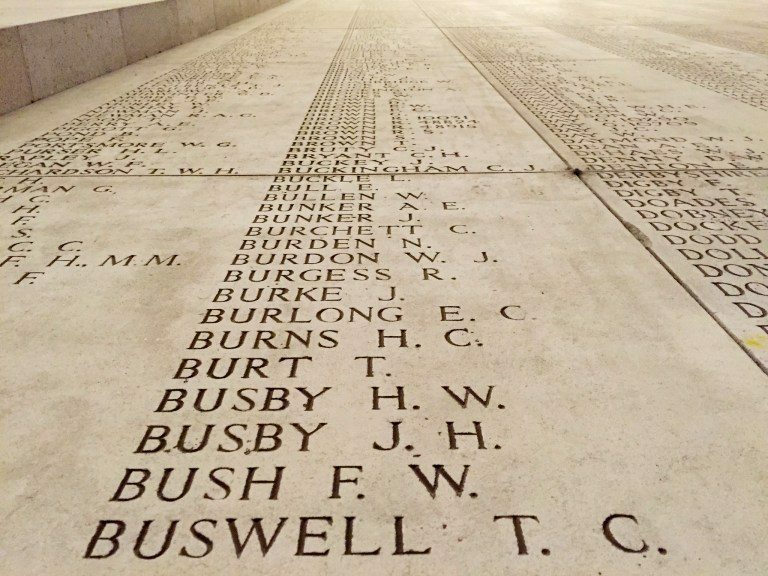 Approximately ten million soldiers lost their lives during World War I, of which 1,259 of them can be can be found laid at rest here. 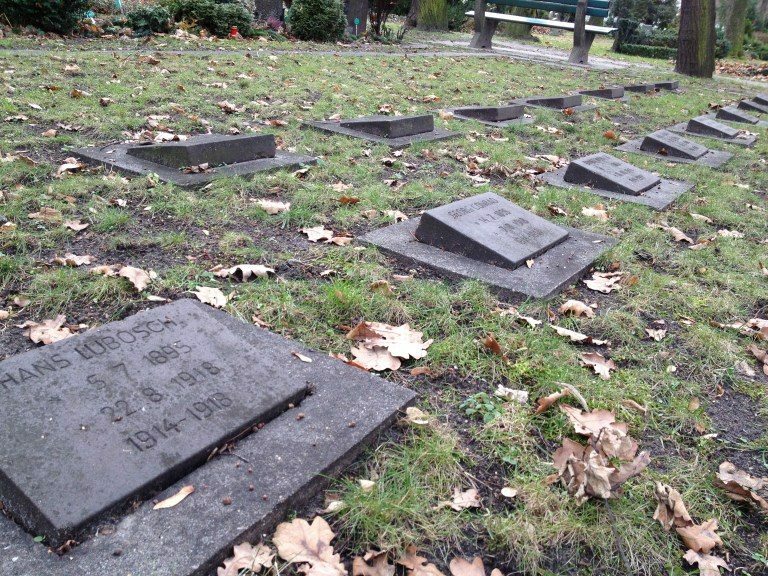 As the German speaking soldiers were transferred to Brixen in the World War II, today the cemetery contains the graves of the Austro-Hungarian army whose mother tongue was not German. Hanging from the black crosses you will find flags honoring mostly Hungarians, Serbs, Slovenes and also Russians and a Belgian soldier. Most people who travel to Sardinia typically see Cagliari just as a base from where to explore the best beaches in Sardinia, or at most a place to spend a couple of days visiting the main attractions in the city. Yet, the capital of Sardinia is packed with hidden gems that always make for an interesting visit. 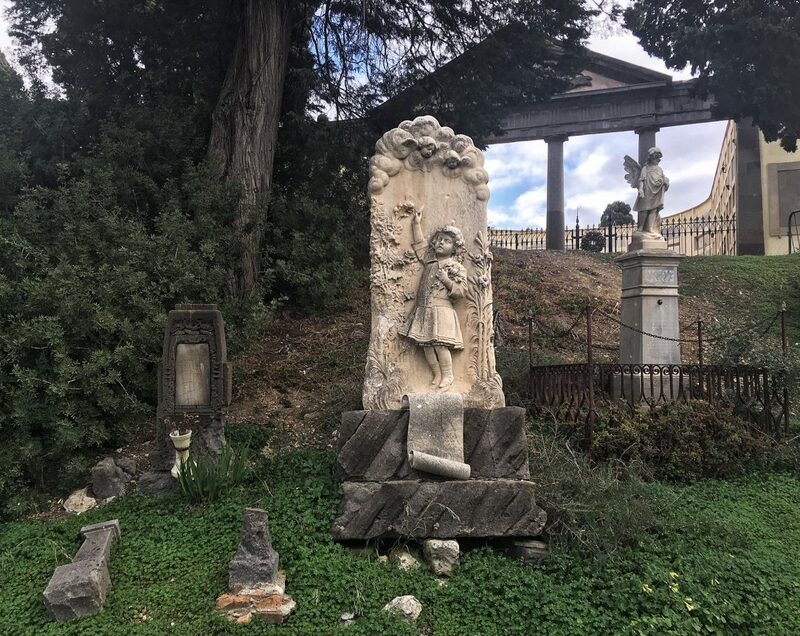 One of the quirkiest places to visit in Cagliari is the Cimitero Monumentale di Bonaria: it is a special place, so much so that it feels like a vast open-air art gallery. There are sculptures of what used to be some of the most influential artists in Sardinia between the 19th and 20th centuries. The most important families in Cagliari would hire them to create unique sculptures to adorn the tombs of their beloved. 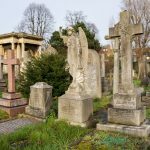 The cemetery was first opened in 1828, but the area where it is located had already been used as a burial site in Punic and Roman times. After Napoleon’s Edict of 1816, according to which burials could not be done in the city due to hygienic conditions, Bonaria became the main cemetery of Cagliari, since it was located in an area that, back then, was far from the main city. The cemetery stopped being used as a burial ground in 1968. It now is a lovely place to walk around, admire some beautiful art and learn about the history and mysteries of Cagliari. 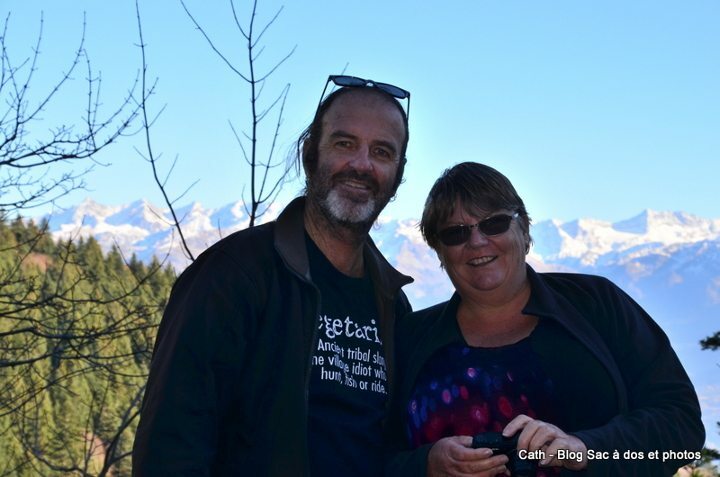 There are occasional guided tours that go there too. 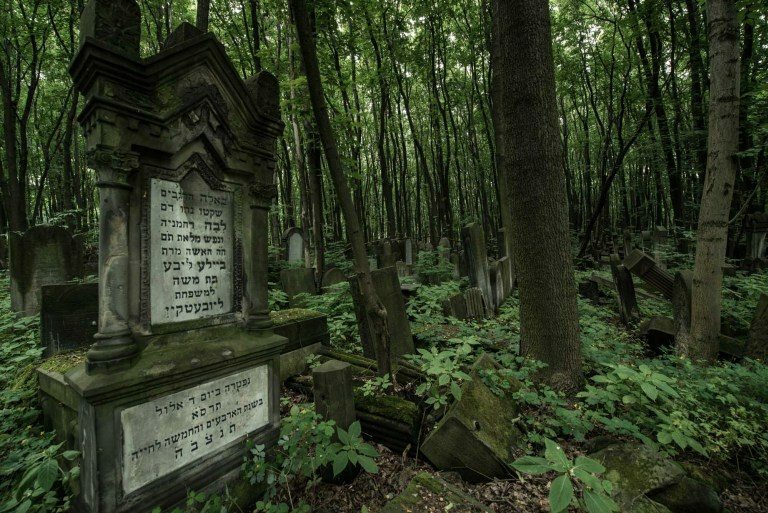 The Jewish Cemetery in Warsaw is in the middle of the city that once had 300,000 Jews who had been there for centuries. Now, it’s taken on the character of a ruin. 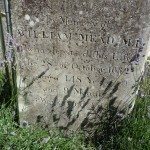 It was established in the early 19th Century and has over 200,000 headstones. But after the near elimination of all of Poland’s Jews during the Holocaust, it was virtually abandoned, and a forest grew up within the large site. It reopened after the end of World War II, and now serves the remaining small community of Warsaw Jews. The parts in use are well maintained and contain graves that have been placed in the very recent past. Other parts are completely overgrown by the forest. Most people associate cemeteries with sad, dark places. But what if I told you there is a cemetery where people go and smile? 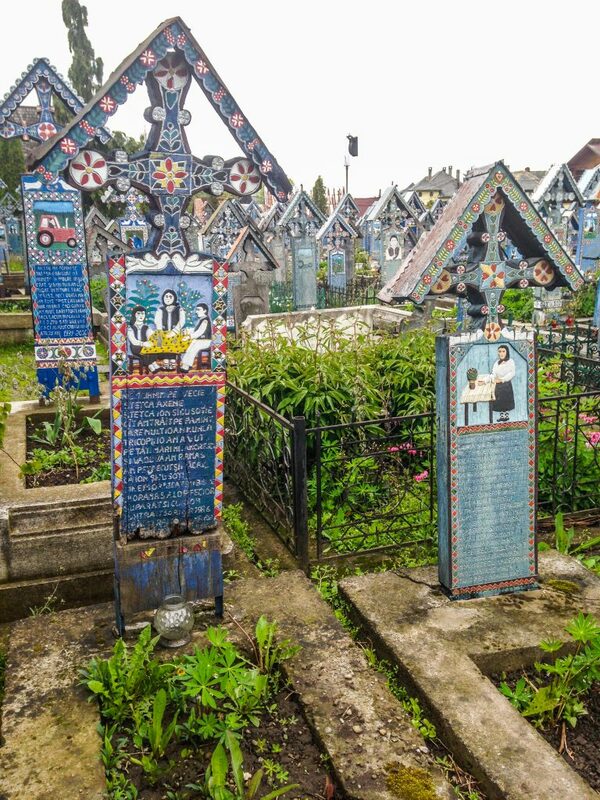 That would be the Merry Cemetery in Romania. Hidden at the border with Ukraine, in the village Săpânță, in the stunning region of Maramureș, this is one of the most remote touristic places in Romania. The distance from Bucharest, the capital, makes it harder for tourists to visit it but it sure is a well worth detour. Novodevichy Cemetery, the most famous and prestigious cemetery in Moscow and Russia, lies next to the southern wall of Novodevichy Convent, a monastery built in the 16th century and named a UNESCO World Heritage Site in 2004. The cemetery was first opened in 1898, but became a true landmark only in the 1930’s, with the re-interment of Nikolai Gogol and Sergey Aksakov, after the necropolises where they were buried were scheduled for demolition. At the Novodevichy you can find the tombs of Mikhail Bulgakov, Anton Chekhov, Vladimir Mayakovsky, Sergei Prokofiev, Konstantin Stanislavsky, and Sergei Eisenstein among many other prominent figures in Russian literature, cinematography, and music. During Soviet rule, burial in the Novodevichy Cemetery was second only to the burial in the Kremlin Wall Necropolis. Among the Soviet leaders, only Nikita Khrushchev was buried here instead of the Kremlin Wall. The first president of the Russian Federation, Boris Eltsin, was also buried in Novodevichy, and his grave is marked by a monument shaped as a Russian flag fluttering in the wind. There’s separate section dedicated to the graves of numerous Russian cosmonauts which pay tribute to their achievements. Today, there’s still scarce space at the Novodevichy cemetery which is only used for the most significant burials. Yekaterinburg used to be a center for organized crime in Russia, and while the mafia still has a presence there, the conflicts peaked in the 1990s. 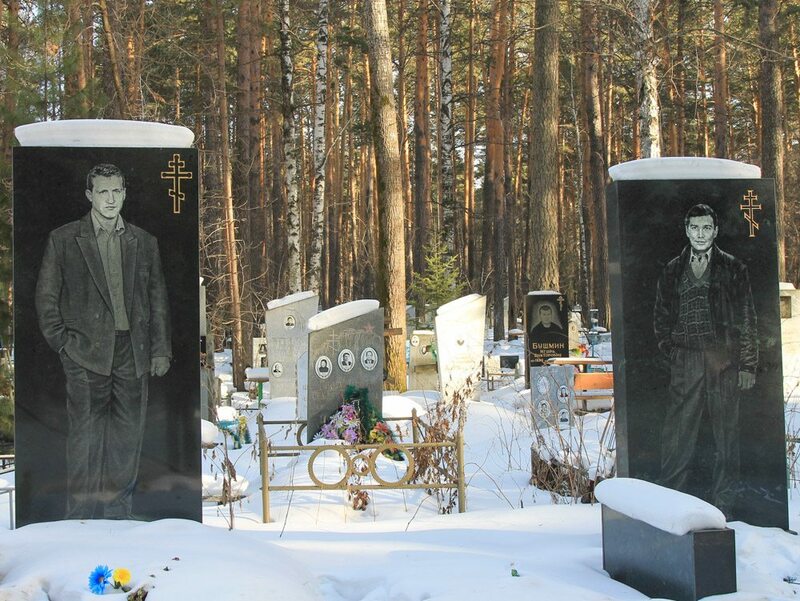 You can see this when walking through Shirokorechenskoe Cemetery, where prominent members of the notorious Centralniy gang have been buried – walk through and you’ll see that most of the gravestones belong to men who died in the 90s, usually in their twenties. The cemetery is huge, but since the gravestones display pictures of the deceased you can easily spot former mob leaders from their expensive suits and embellished gravestones. One even had a separate gravestone showing off his Mercedes! And just so no one gets confused, the bosses are always shown in fancy suits, while the “muscle” wears leather jackets and t-shirts. Situated below Castillo del Aguila (Eagle’s Castle) sits the municipal cemetery of Gaucin, Spain. 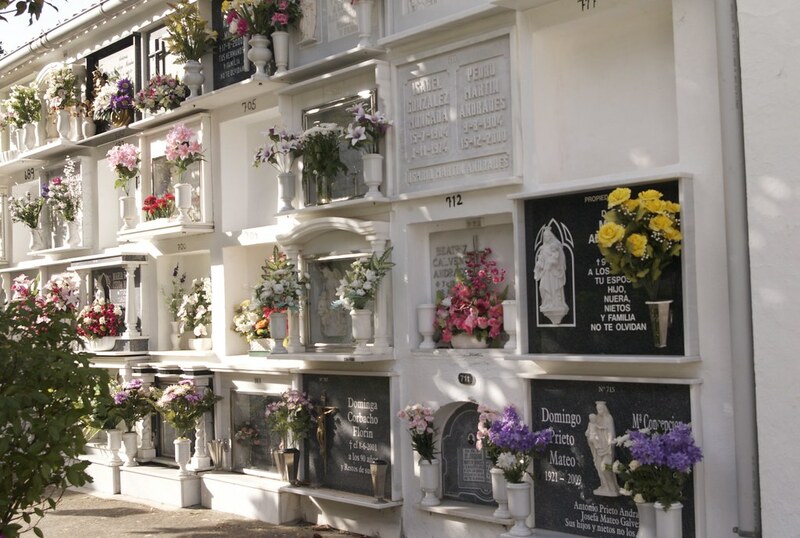 Unlike other cemeteries where the beloved are buried under the ground, remains are placed in walls and adorned with colorful flowers. Right outside the cemetery is a picturesque garden with flowers and tree situated on a hill lending itself to a panoramic view across the Straits of Gibraltar to Africa. so many stories to tell in these old cemeteries. I hope one day to visit to see my great-uncle’s name on the memorial at Gallipoli. Gallipoli is a very humbling place, as all war cemeteries are.